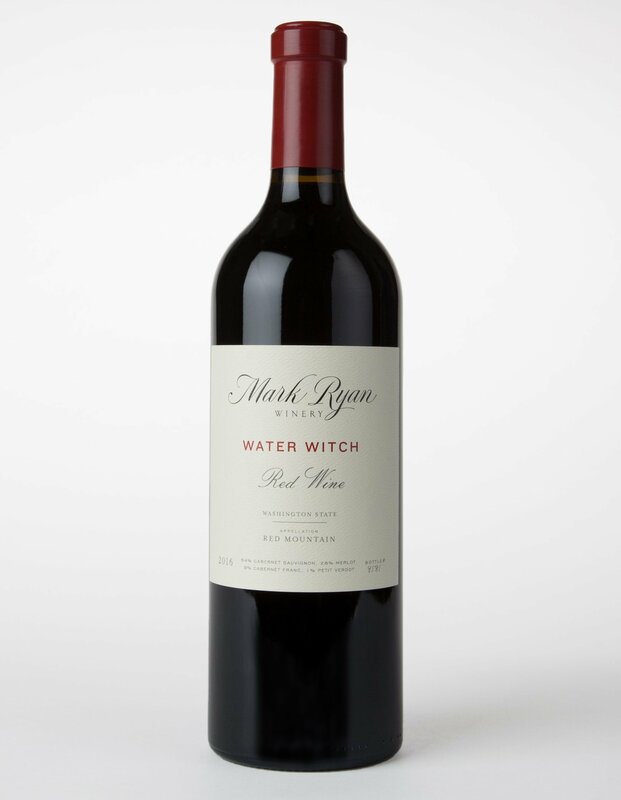 Washington-based Mark Ryan Winery’s Water Witch is one of its flagship bottlings, a Bordeaux-style blend that, for 2016, is composed of 64% cabernet sauvignon, 26% merlot, 9% cabernet franc, and 1% petit verdot. We checked out the Water Watch in its 2015 incarnation, and were excited to put this 2016 bottling up against it. Much like its predecessor, this is a big, savory, chewy wine, quite a bit more aggressive than the 2015. The nose is more focused on dried fruits and earth tones than the florals that were readily found in 2015. On the palate, that cranberry and dried-cherry sweet-and-sour character is enduring, helping the wine to rise above a not insignificant tannin component. While otherwise fairly dry on the finish, Water Witch does see its share of lingering, juicy fruit notes, though these serve to mildly simplify an otherwise engaging experience.